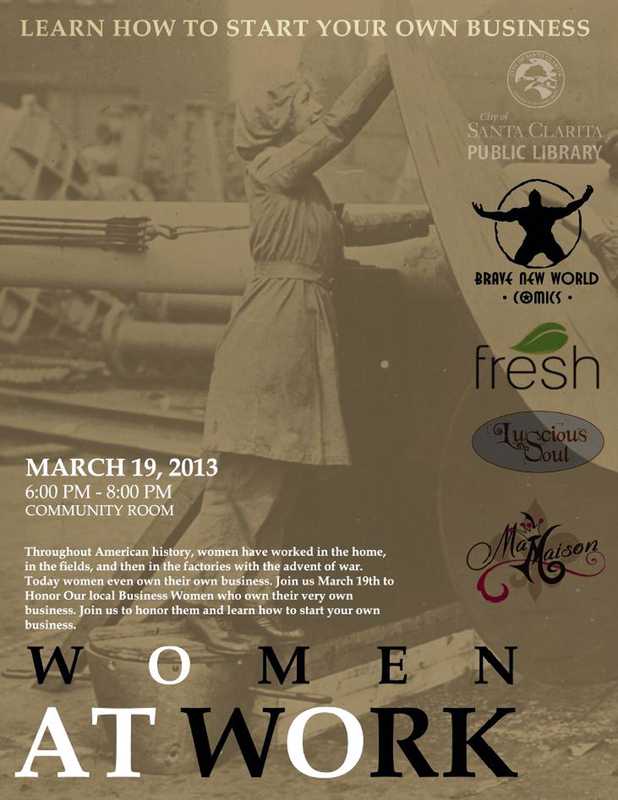 In honor of Women’s History Month, the Santa Clarita Public Library is hosting a program titled “Learn How to Start Your Own Small Business” on Tuesday, March 19, at 6 p.m. in the Community room at the Old Town Newhall Library. Local female business owners will share their knowledge on how they started their own business here in the City of Santa Clarita. Also in honor of women’s history month, community members will have the opportunity to win a dinner or Home Depot gift card for participating in the ’How Well Do You Know Your First Ladies’ quiz. Patrons have the opportunity to answer 10 questions about America’s presidential first ladies at any branch of the Santa Clarita Public Library.